I enjoyed the sort of unrestricted, free-range childhood that few children today can even dream of. The mountains were my back garden. The warm turquoise sea was a perfect paddling pool just yards away from the house where I was born. The tiny village of Minori on the beautiful Amalfi coast of southern Italy was my heaven. 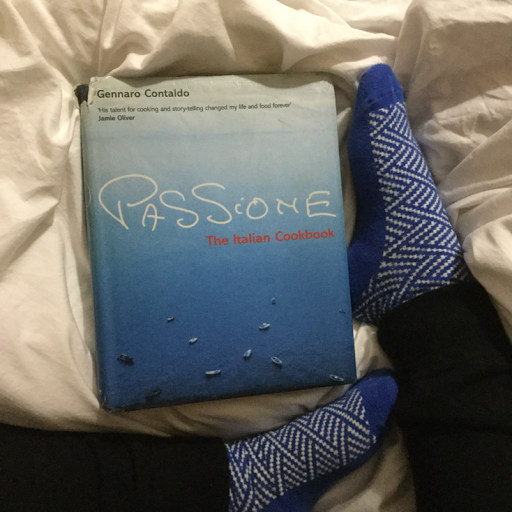 About Passione: The Italian Cookbook by Gennaro Contaldo*: Full of colourful and modern recipes that evoke Italian life at its most enticing, this is the first cookbook from Gennaro Contaldo. Gennaro's passion for fresh, seasonal ingredients and his love of simple food is shared here with the energy for which he is famous. With evocative stories from his childhood - free-diving for oysters, foraging for wild mushrooms and bunking off school to go fishing - it is also illustrated with photographs from his childhood as well as modern food photography. 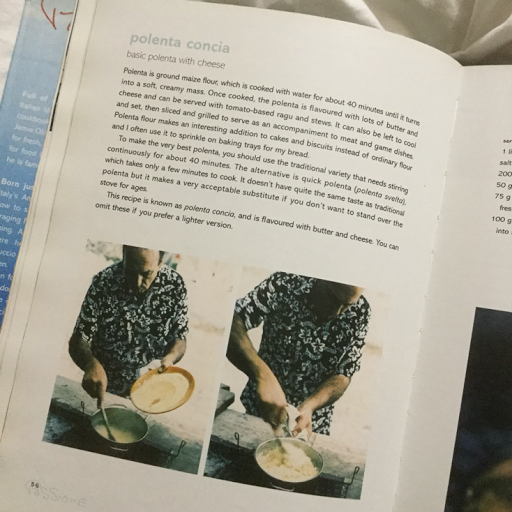 This book reveals the secrets of Gennaro's own basic recipes as well as some of the best-loved dishes from his restaurant - "fillet of seabream with honey and vinegar", "lamb cutlets with mixed herbs and prosciutto" and "limoncello and strawberry ice cream". 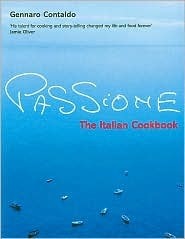 This cookbook is one of our first ever Italian cookbooks which I picked up in the sale bin. 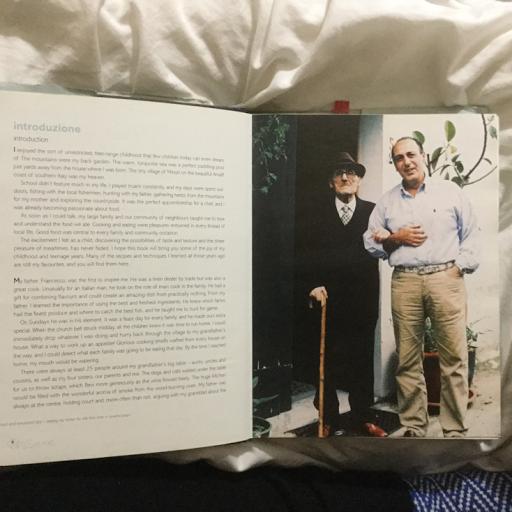 The cover really called out to me and once I started flipping through the pages and getting snippets of Contaldo's charmed life, I knew I had to make this book mine. And so it has, traveling over the oceans and it has been in our collection for over a decade. We especially love his recipe for octopus! Do you have any favourite cookbooks? Do share!